Over the last few years, the phrase ‘hunt for yield’ has been used ad nauseum in the investment press. We are often asked to talk to investors and advisers about what this phrase means and how yield-based investment works. In this edition of Investor Insight, we unpack yield-based investment, with particular reference to our own asset class of choice, property credit. First – the basics. ‘Yield’ based investors are typically looking for a relatively constant and secure return on their investment. They prioritise preservation of their investment capital (or principal amount) and the generation of reliable income. A classic example of such an investor is a person at or near retirement, who wants to generate steady returns and/or income to live on and who cannot risk potentially large capital losses from stock market crashes. Traditionally, yield-based investment was described as ‘fixed income’ or ‘fixed interest’ investments. However, these labels were often misleading, because many of the relevant investments actually paid a variable rate of return. For this reason, it is now just as common to hear discussion of yield based investment. There are many forms of yield-based investments. 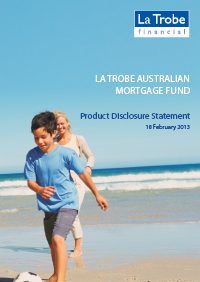 Traditionally, these include term deposits, mortgage-based investments like La Trobe Financial’s offerings and bonds. Each has their own unique features and each has their own set of advantages and disadvantages. In more recent times, the traditional categories of yield-based investment have been challenged by new ‘yield hunting’ strategies. In particular, some investors have been seeking yield through investments in specific types of shares, or equities. In general, the shares targeted for yield investment are those judged by investors to be relatively capital-stable, with a solid history of dividend payment. This strategy is not without merit. 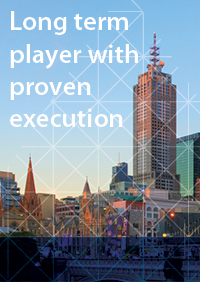 Many companies in Australia are paying strong dividends at the moment and investors often receive the tax benefit of dividend franking. However, there are also significant risks. First, although a company’s share price might seem relatively stable at a given moment in time, history tells us that the share market can move dramatically in very short periods of time. In 2007, investors were not generally anticipating that the share market was soon to experience a 50% fall and would still be 20% below its peak levels six years later. Secondly, companies are not obliged to pay dividends. Bad sales figures, a poor economic outlook and fads in balance sheet management can all affect a company’s willingness to pay dividends. For these reasons, investors should be very careful in using equities if capital stability and reliability of income is important to them. According to the latest figures from the Australian Bureau of Statistics, there is now $1.35 trillion in loans outstanding in Australia over a total residential property stock of $5.02 trillion. These staggering figures show the size and depth of the Australian property credit market. Although the December data (the most recent release from the ABS) showed the number of home loans granted falling a seasonally adjusted 1.9% to 51,692, total housing finance by value rose 0.2% seasonally adjusted to $27.050 billion. That is over $27 billion in new property credit assets entering the market in the month of December alone. Most pleasingly for the broader economy, this included a 0.4% lift in the number of new loans approved to build new homes. This both serves as an important driver of economic growth in Australia and puts a lid on property price gains as an important supply-side response to increased demand for housing. 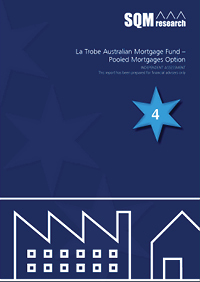 One topic that has received a lot of commentary has been the composition of Australia’s current housing finance markets, with some commentators pointing to a potentially disproportionate level of investment finance, as opposed to owner occupied or the sub-category of first home buyer finance. The sub-text of this discussion is that some commentators are concerned that recent property market performance could be the result of speculative purchases by investors, rather than solid, fundamental demand of the type typified by owner occupiers. Whilst this is an issue that needs watching, there are at least two reasons why it is too early to be overly concerned on this front. First, the fundamental supply shortfall of dwellings persists, regardless of the composition of the registered proprietors on title. The current figures could simply reflect a growing trend of many people to rent, rather than buy, their home and an investor response to this. Secondly, there is a growing view that ABS statistics no longer give a true picture of the composition of borrowers. Industry participants representing both brokers and lenders have pointed to first home owner grant schemes as having distorted the data, along with the growing trend of purchasers entering the market first as investors. For the ABS, a first-home buyer is anyone who applies for a first-home owner grant. However, several states have changed the conditions of their grants, so that only people buying newly-built properties are eligible. A first-home buyer buying an established house or unit may not be captured in the ABS data. Whilst it is always important to remain vigilant for stresses building within any asset class, in our view the housing finance figures presently reflect orderly and solid fundamentals for the sector. For every investor looking to obtain yield via property credit, there is also a borrower. This form of investment is almost unique in allowing ordinary investors to be on ‘both sides of the transaction’. This, of course, raises the subject of ‘leverage’ or ‘gearing’. 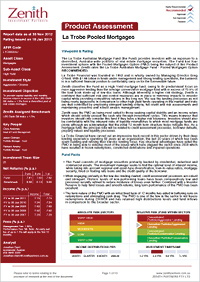 Leverage is one of the most popular investment strategies utilised today. Nearly every serious investor will use leverage at some stage in his or her life, even if only to purchase their residential property. This practice has been receiving a lot of attention in the press lately. First, there has been a discussion of borrowing within self managed superannuation funds (SMSFs), via what is known as a ‘Limited Recourse Borrowing Arrangement’ (LRBA). Secondly, the press has also been reporting about an increase in ‘margin loan’ arrangements, under which investors borrow from a lender in order to purchase shares, using the shares as security for their loan. To get some more insight into the subject of leverage, we spoke with renowned adviser, accountant and finance commentator, Max Newnham. Max is one of the most experienced financial advisers in Australia and is the founder of the www.smsfsurvivalcentre.com.au, an online resource for investors looking to take control of their retirement savings. This powerful site takes you step by step through the superannuation minefield and helps you decide which type of super fund is best for you. Having done that, it provides easy-to-understand information on taxation, Centrelink and superannuation rules. 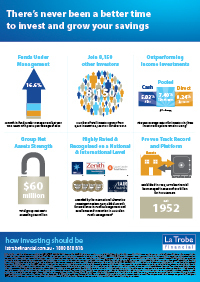 Borrowing to buy an investment property is a well-established wealth creation strategy. Its success depends on the tax rate of the investor and the amount that the property increases in value. The strategy works because the tax-deductible loss reduces the income tax payable on other income such as salaries and wages, while tax is payable on only 50% of the increase in the value of the property. Since SMSFs have been able to borrow there has been an increased number of properties being purchased inside superannuation. The problem with this strategy is the tax benefit of the rental loss is much less than if the property is purchased by an individual. Tax paid by superannuation funds is 15%. The most common tax rates for individuals are 34% and 38.5%. A $19,000 rental loss produces an annual tax benefit of $2850 in a super fund, while for individuals the tax benefit is $6460 and $7315 respectively. The benefit of buying a property in an SMSF is that when the property is sold, and the super fund is in pension phase, no income tax is paid on the capital gain. However if an individual sells the investment property when they are retired, and earning a tax-free superannuation pension, the tax impact is reduced. Max also provided the following example of the tax benefits that would accrue to an investor if they borrowed 80% of the value of a property worth $500,000 (at the various possible tax rates). Clearly, the success of a leverage strategy depends both on investment outcomes and taxation issues. 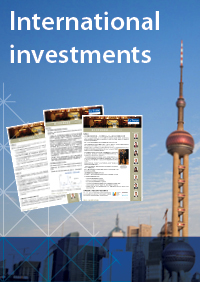 Max also identified three key risks for investors considering a leveraged investment strategy. While leverage can increase your gains in rising markets, it can also magnify your losses when markets decline. If the drop in value is significant it can result in the forced sale of the property. It is therefore essential that investors think very carefully and obtain professional advice before adopted a leveraged strategy. Secondly, a successful leveraged strategy requires investors to service the interest payments on the loan throughout the life of the investment. The loss of a job or other income-shocks can make this difficult at times, so leveraged investors should always give thought to having proper income protection insurance. Finally, there is always the risk that interest rates will rise, making it more expensive to service the loan. This problem is magnified if a tenant goes into default or there is a long period without a tenant. Investors should always ensure that they have the capacity to absorb interest rate increases or no rental income. 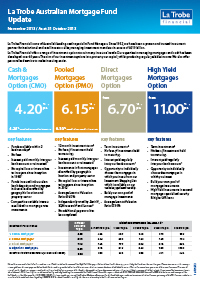 Investing for yield is in our view here to stay. 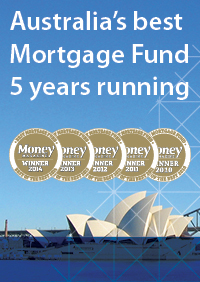 The growing importance of the SMSF sector means that it will remain at the top of investors’ minds. Within the yield-based classes of asset, property credit can offer investors a capital stable, income-based return profile. Uniquely, it also offers ordinary investors the opportunity to enter the investment transaction ‘on the other side’ and become a borrower. However, leveraged investment strategies magnify both gains and losses. 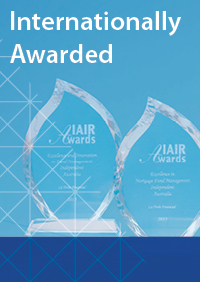 They are highly specialised and any investor considering them should obtain professional advice.